BROOKLYN PARK, Md. - Police in Anne Arundel County, Md. say they have arrested a 26-year-old man for fatally beating a fellow employee at a Popeye's restaurant in Brooklyn Park. Police said Tuesday that they have arrested Moises Gomez-Castillo of Brooklyn, Maryland. 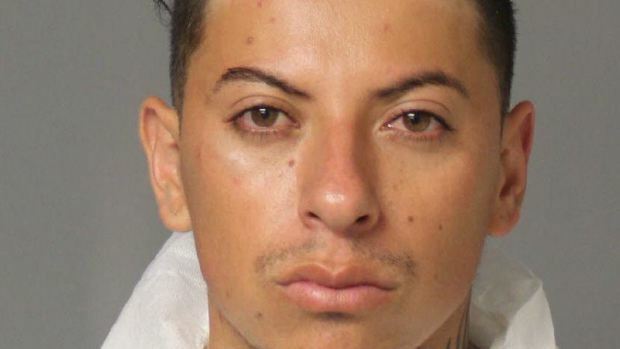 He is charged with first- and second-degree murder and assault charges in the death of 47-year-old Luzviminda Monreal of Laurel. Police say the motive behind the murder was robbery. According to investigators, Gomez-Castillo planned a robbery at the Popeye's restaurant - where he has worked occasionally for the past seven years. He even confronted other workers about joining in on the crime, charging documents say, according to CBS Baltimore. Gomez-Castillo was arrested late Sunday afternoon. A manager found Monreal suffering from traumatic injuries earlier Sunday in the back area of the restaurant. She was later pronounced dead. Investigators say Monreal worked at the restaurant on Saturday night before she was killed. Neighbors of Monreal say she lived with her husband daughter and worked two jobs to provide for her family, reports the station.